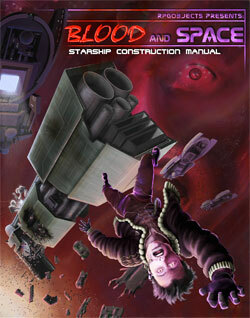 This final installment in the Blood and Space 2 line fills some of the gaps in Future d20's starship construction rules. Designed to be completely compatible with both the Future d20 core rules for starship construction and RPGObjects’ Blood and Circuits sourcebook, this book gives you the ability to create your own hull types and build weapon variants from scratch. Also included are two new advanced classes: the starship designer for those who build starships, and the test pilot, for those who fly them first and work out the bugs. Format: Landscape (screen viewing), Portrait (for printing).